The top choice for limousine and shuttle transportation for your Finger Lakes wine tour at the area's best prices. Do you like wine and beautiful scenery? Then our wine tours are for you! 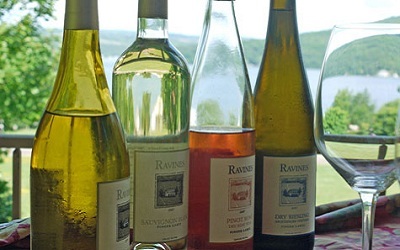 Choose wine tours from Cayuga, Keuka, and Seneca Lake. Once you choose a tour, you will spend a day traveling the wine trails of your choice in a luxurious LeGault's limousine and vehicles, including an 18-passenger Mercedes-Benz Sprinter van. Some of the features of taking one of these tours includes experiencing some 5,000 year old traditions while sampling fine wines and learning about how wine is produced. Plus, when you reserve a limousine from us, you will receive free wine for the trip to the winery and a courteous professional chauffeur. Call us now for the best transportation service anywhere in New York state! Together, we can help uncork New York! Visit these vineyard's year round, what a great gift idea! Or any other lake in NY State and we’ll to the rest! The most affordable luxury transportation in Rochester! This is just a sample of the vehicles in our fleet. We have limousines, vans, luxury sedans and luxury SUVs. We can meet all your needs!